Bound by hand in Dauphin calf leather (see swatch below) by our master craftsmen; the playing board is hand inlaid and embossed with the Scrabble® values in silver. 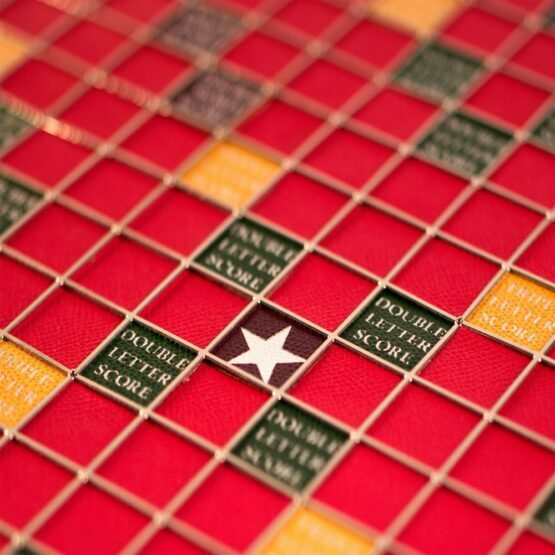 Separating each playing square is a fixed a chrome metal grid. 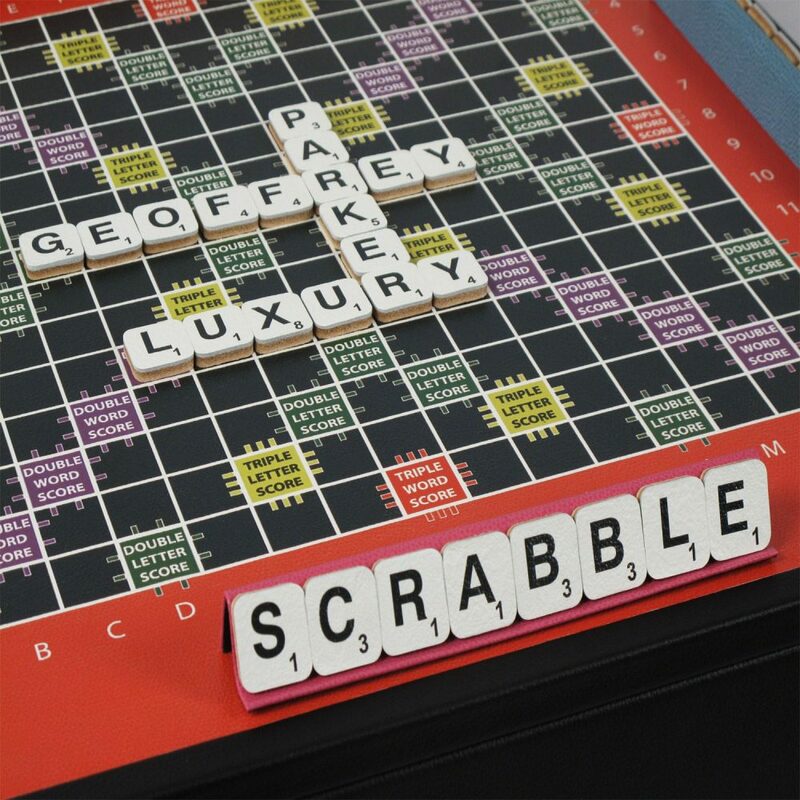 This upstands just enough to keep the letters stable when spun on the integral Lasy Susan turntable which is built into the underside of the plinth. 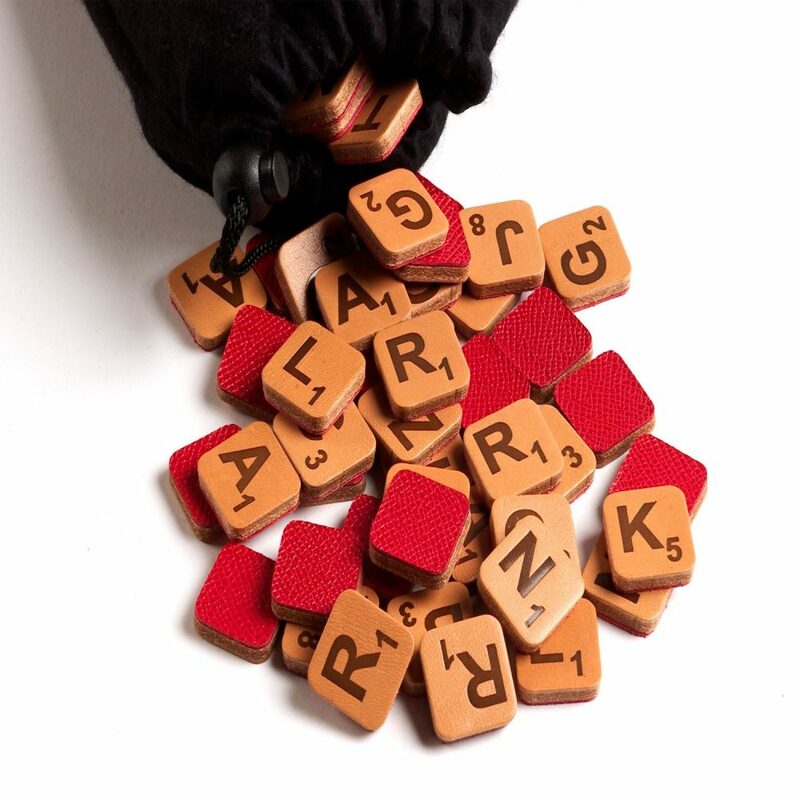 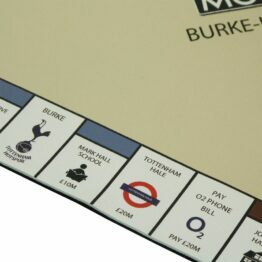 The Scrabble letters have also had a luxury makeover; each is painstakingly made up of a leather ‘sandwich’. 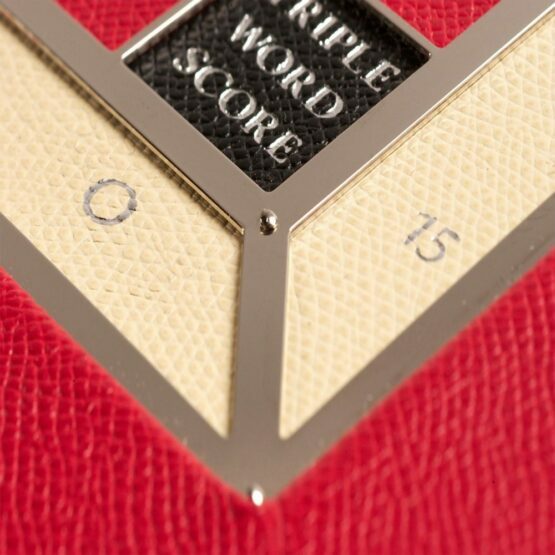 This is made up of printed cowhide with traditional English Bridle hide in the centre for strength. 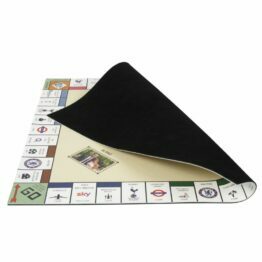 Printed onto a cowhide; the same leather as you will find on a boxing glove, we can make the playing board in any colour way you like. 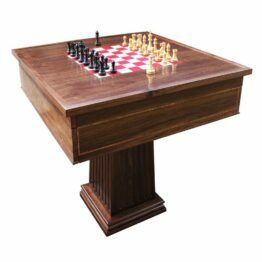 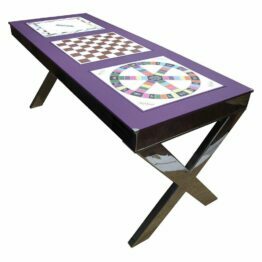 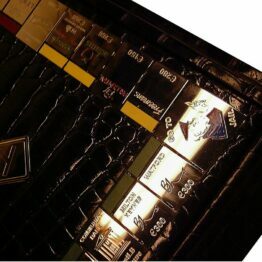 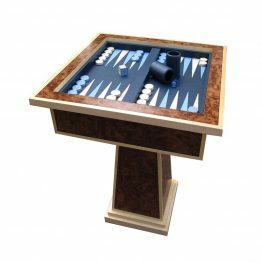 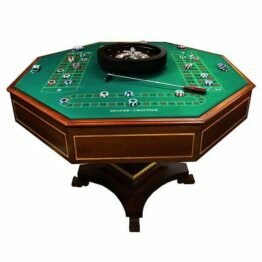 This board is then inlaid into a leather frame and placed atop a hand-bound tray which contains all of the gaming components you require. 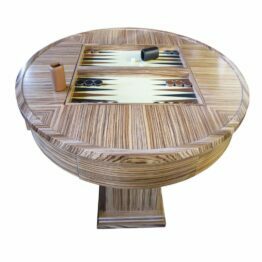 The tanned cowhide used for the tray itself is available in the following colours; black, red, midnight navy blue or chocolate brown. 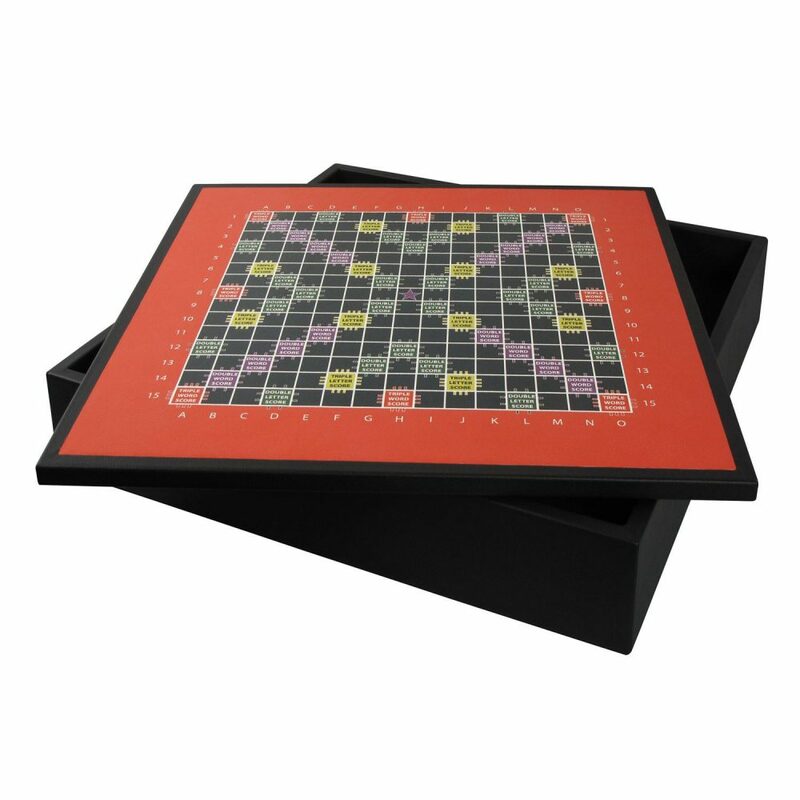 We recommend that it is best to have a contrast colour for the leather tray as printed leather will never 100% match tanned leather. 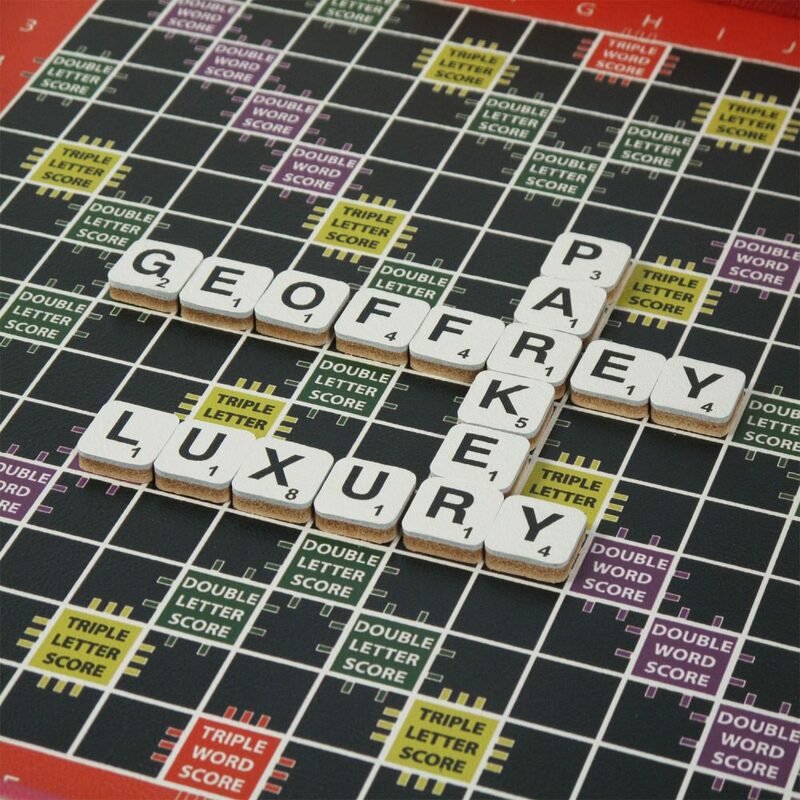 The letters themselves are printed onto our cowhide which sits on top of English bridle hide tiles. 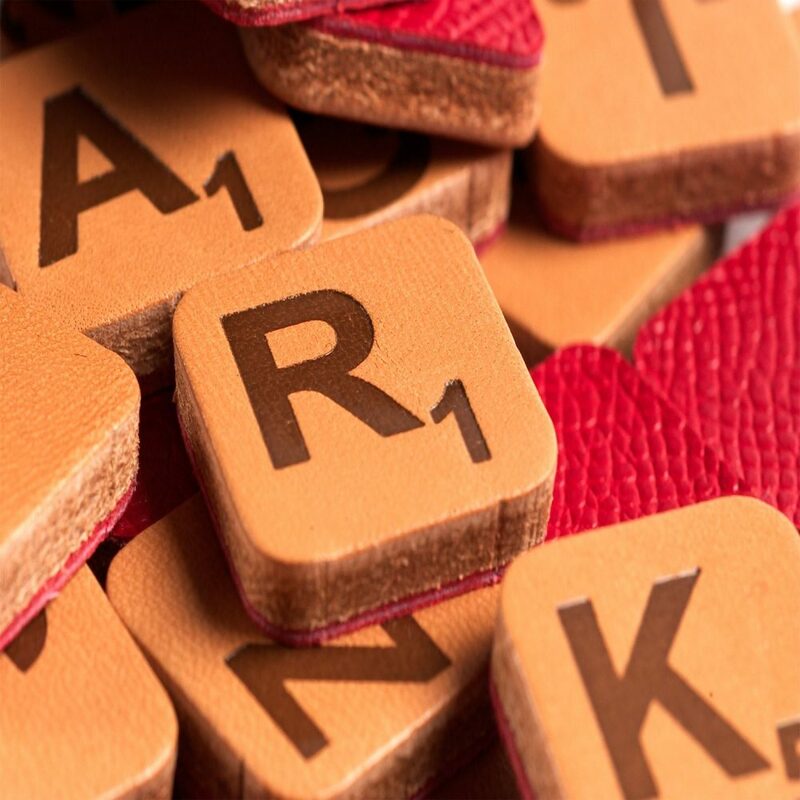 The racks these letters sit atop are hand bound in leather with non-slip suedette bottoms and a felt drawstring “letter” bag completes the game, these are all stowed neatly away in the felt-lined tray under the playing board. 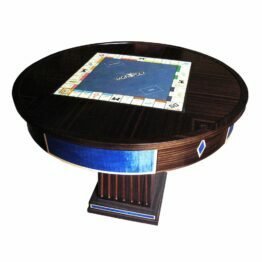 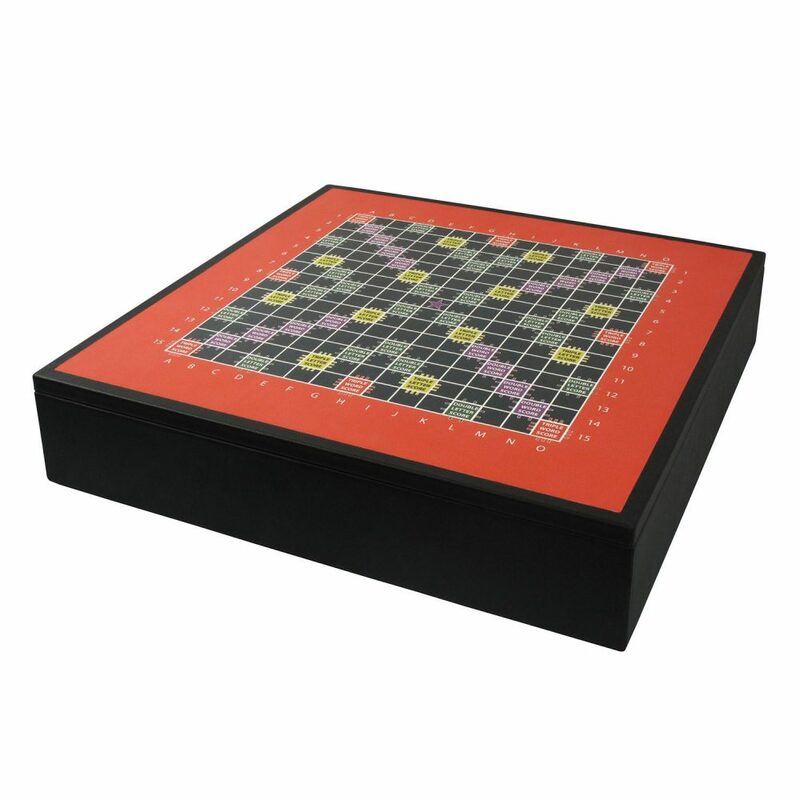 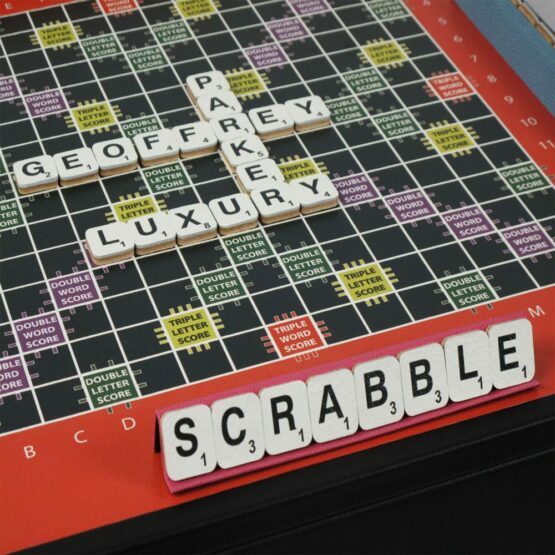 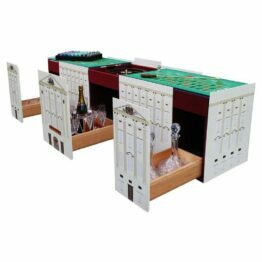 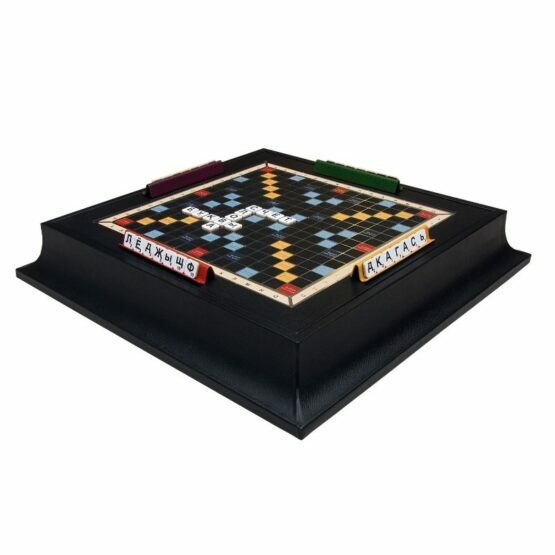 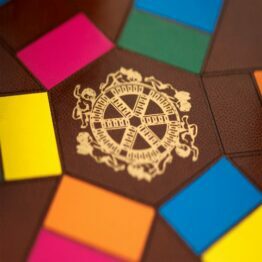 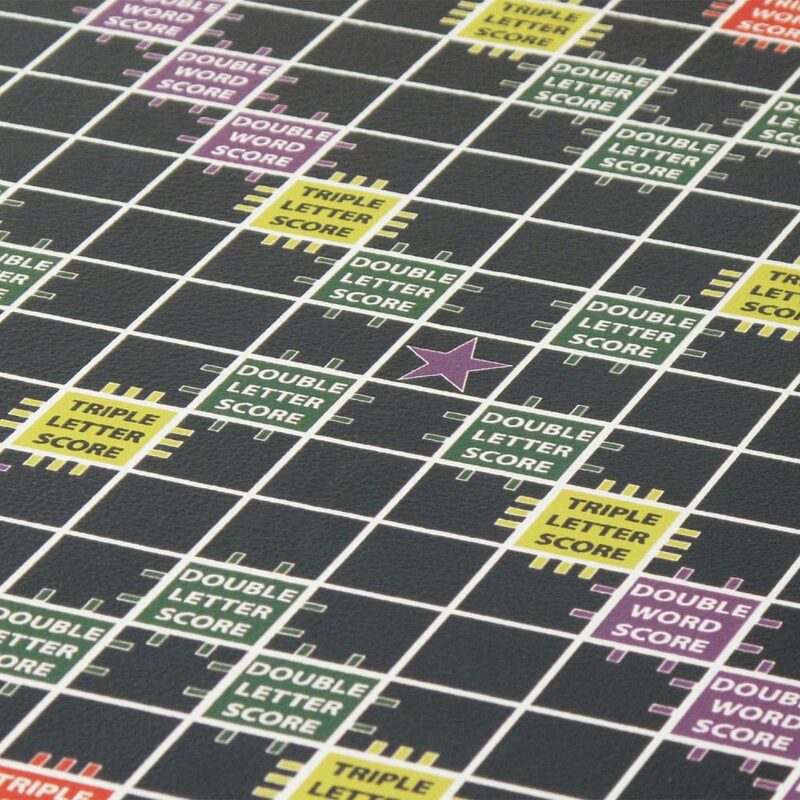 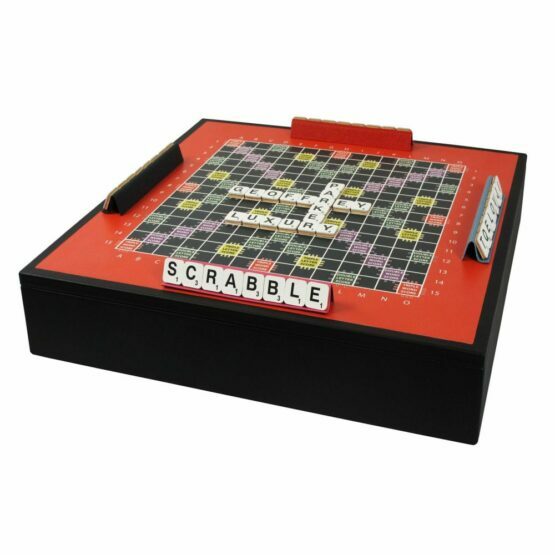 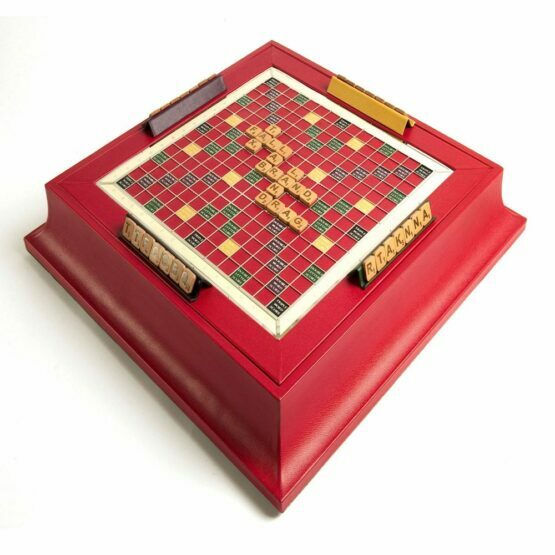 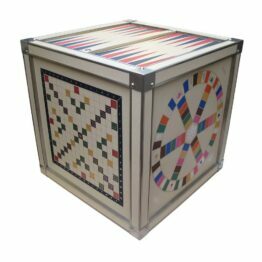 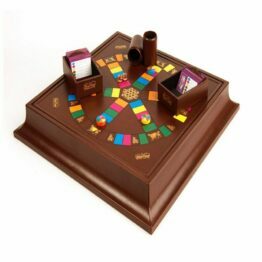 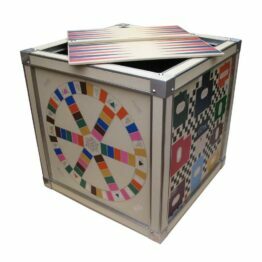 Challenge your family and friends to a game of Luxury Scrabble; handmade to order in a wide range of colours. 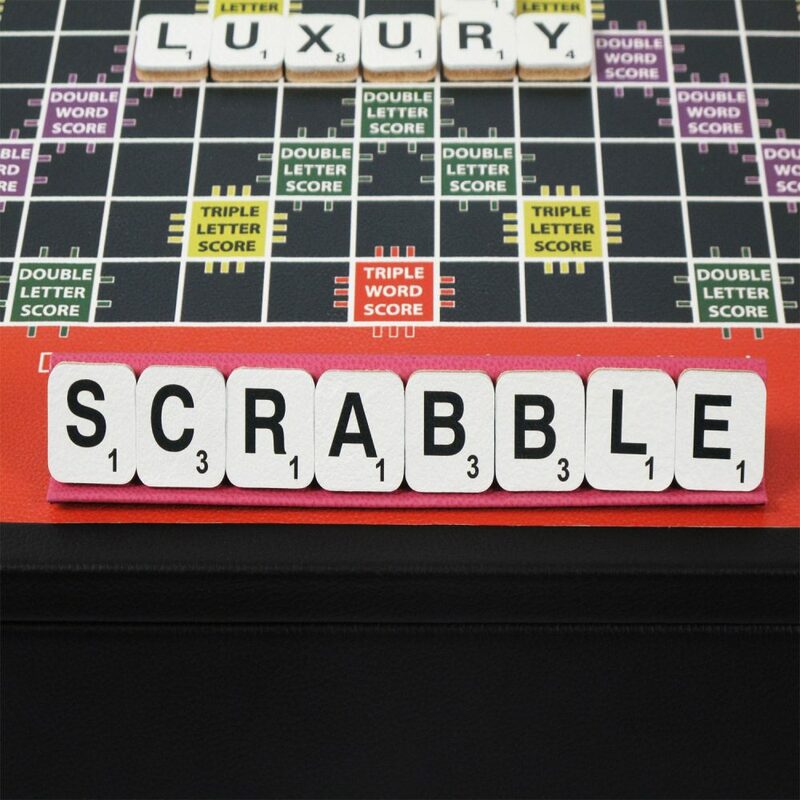 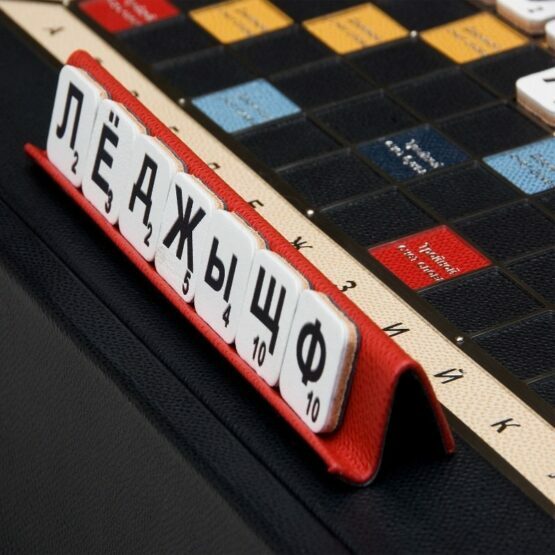 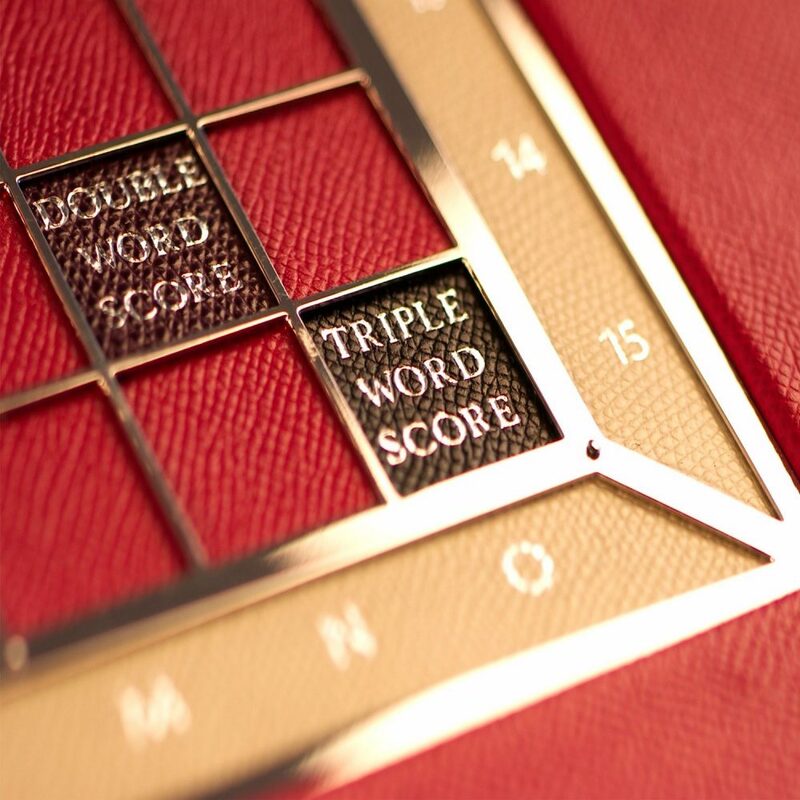 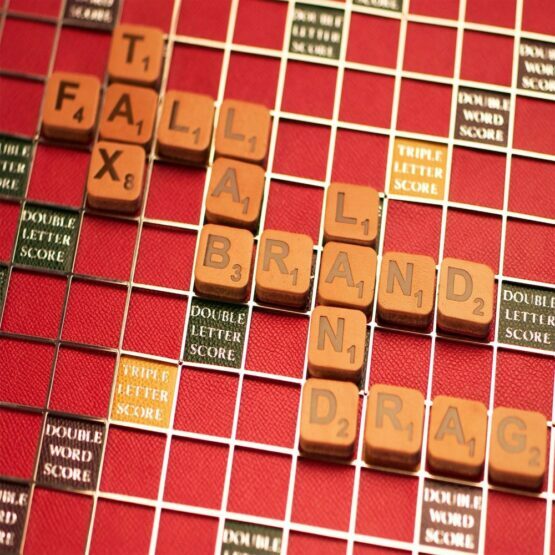 Our luxury scrabble is like no other; choose from printed leather or our traditional hand inlayed version. Personalisation is easy with Geoffrey Parker, add initials, a personal message or even a company logo. 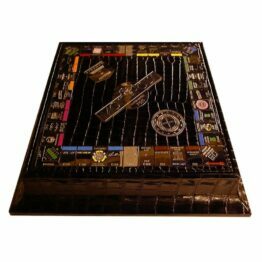 Hand embossed by our master craftsmen, this adds a truly personal gift. 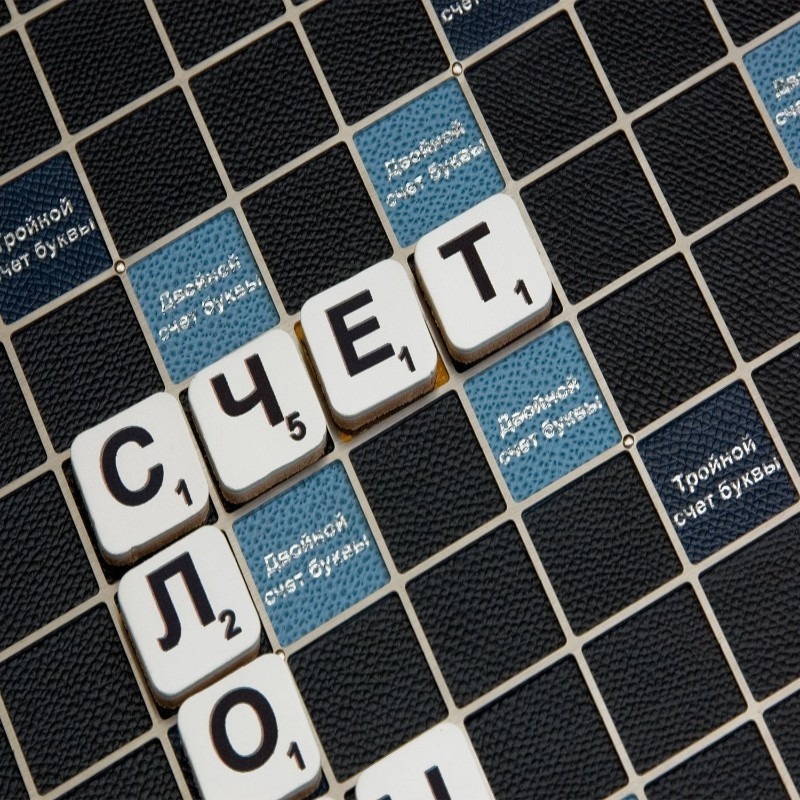 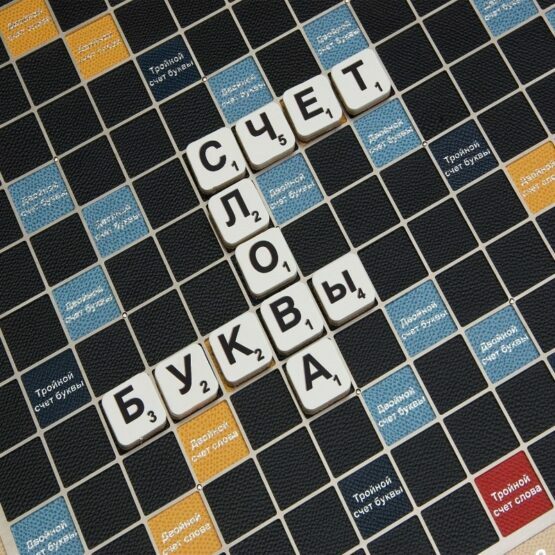 While we’re most often requested for English Scrabble, we’re also often approached for German Scrabble and Russian Scrabble. 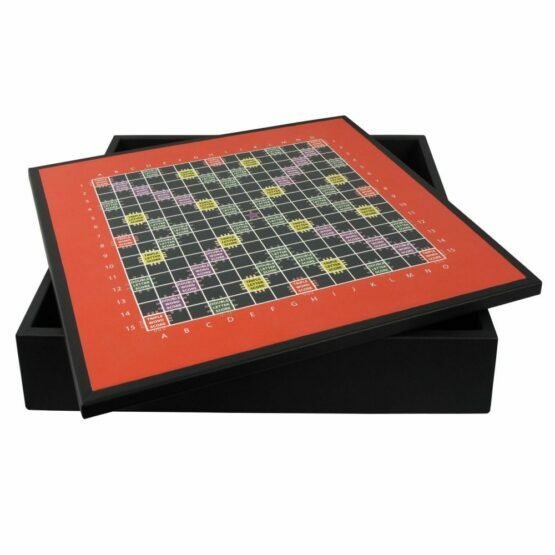 If there’s an existing scrabble set in the language you require we may be able to replicate this in your chosen language. 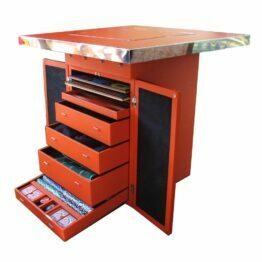 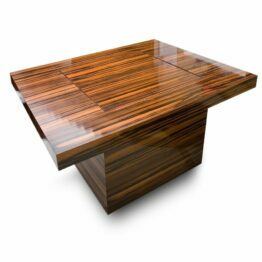 Please get in touch and our designers will be able to see what we can do.